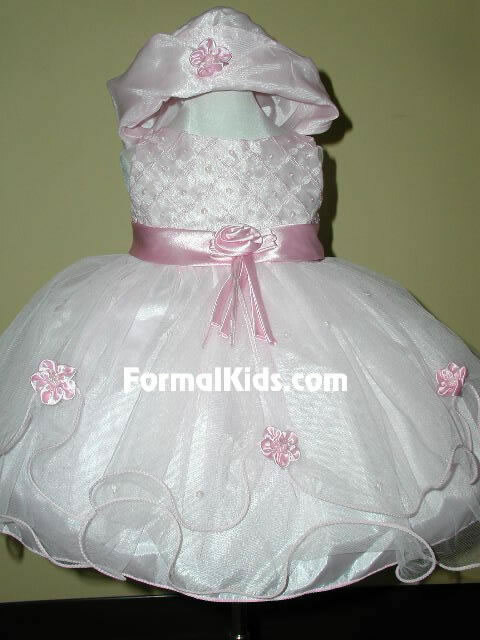 Beautiful infant's formal dress with embroided bodice accented with pearls and beads. 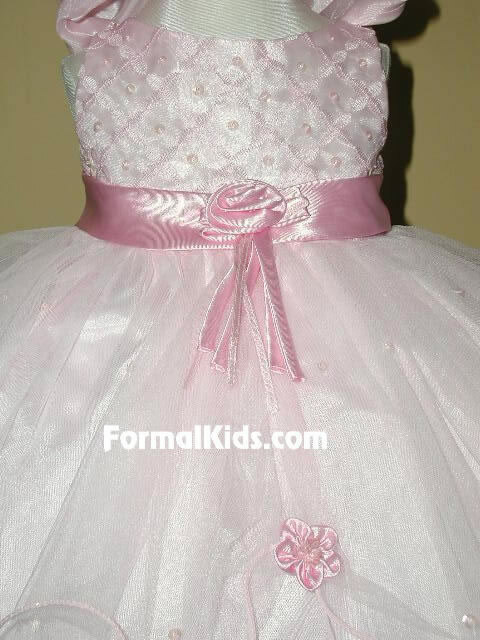 Satin sash tie at waist with removeable satin flower accent. Multi-layer twill skirt with satin flower accents throughout hemline. Sash tie in back ties into bow. Matching hat and bloomers included. *Matching socks, shoes, slip, hair accessories, and more available. See Children Accessories. *Peticoat slip recommended for shown fullness. Please Note: Hat no longer has the satin flower accent.